Turtle Science by Tim Egenton is the newest book in the P2E showcase. It is about a turtle who is shrunken down, and has an adventure. 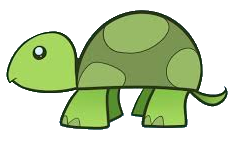 The turtle is shown below.